I visited this vineyard in July on an extremely hot summers day, and was truly impressed by the care and passion with which the wine is made. 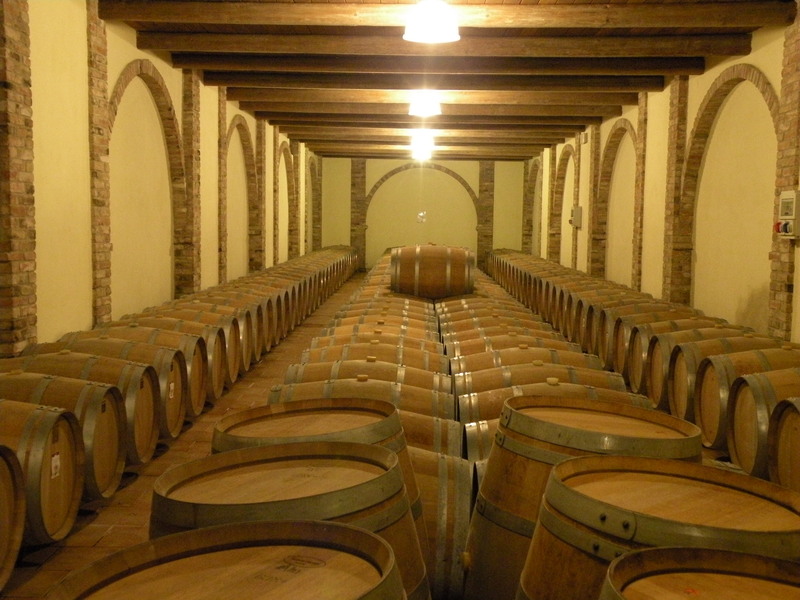 When I stepped in the cantina where the barrels were stored, (see photo below) I cannot forget how cool and refreshing it was after being outside in the 95 degree Italian heat. The panoramic picture on my home page was also taken at this estate, and if you go to my photos tab, and you will be able to see more of the property. They make a wide range of wines but the classic Piemonte varietals are where they excel: Dolcetto, Barbera, and Nebbiolo. 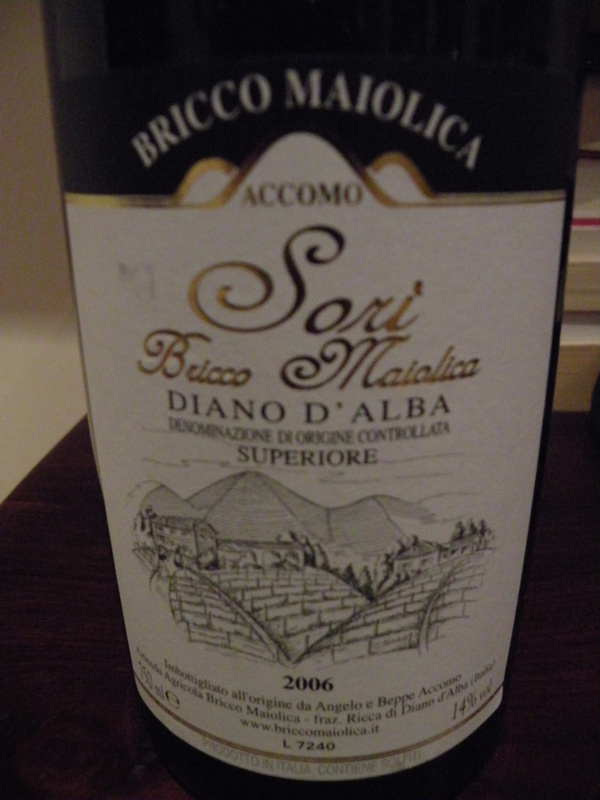 They actually make two Dolcettos of which both are delicious, but this “Superiore” wine is made from their best grapes. When you pour this you can’t help but notice the inky purple color as it flows into the glass. There are some Dolcettos which are made too light in style, but this is not one of them. Moderate smooth tannins with subtle hints of espresso in the nose. Blackberries and blueberries also come to mind. This is absolutely delicious now but I wouldn’t be surprised if this got even more complex in another 3 to 5 years. Highly recommended. The owner, Beppe Accomo, suggests serving this with a plate of hot ravioli. Spaghetti Bolognese would also do just fine. Available in the UK at Lea & Sandman for just under £14 per bottle.